I spoke with former Santa Ana Planning Commissioner Phil Bacerra the other day, after we all found out that his Ward 4 City Council opponent Roman Reyna was going to resign from the City Council. What Bacerra had to say about the negotiations that led up to Reyna’s resignation was mind-blowing. Turns out that Reyna’s legal team tried to get him off the hook, even as he was losing the lawsuit that Bacerra filed regarding Reyna’s horribly botched campaign paperwork. You might recall that Reyna carpetbagged in Ward 4 – and he did it so awfully that he put himself in major legal liability. 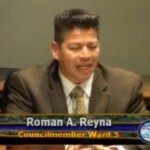 Reyna offered to patch things up with Bacerra by putting him back on the Santa Ana Planning Commission. 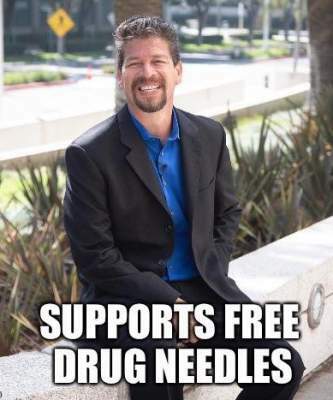 And he offered to have Bacerra’s ex-girlfriend recant all the lies she uttered against Bacerra during the Ward 4 campaign – which amounted to perhaps the worst and most foul smear campaign ever conducted during a Santa Ana election. The story gets even stranger. It appears that Reyna’s attorney, who usually handles bankruptcies, has been working with Santa Ana City Councilman Vince Sarmiento on a cannabis advisory project in the City of Cudahy. One has to wonder if it was Sarmiento who was secretly advising Reyna all along? The fact is Reyna should never have been allowed on the ballot in the first place. And Bacerra should be our Councilman in Ward 4. I also hear that Reyna’s team had been trying to get the City of Santa Ana to pay his legal fees. Apparently however that is not going to happen after all. Bacerra, who is half Filipino, would have been Santa Ana’s first Asian City Councilman. If the City Council is not going to appoint Bacerra to replace Reyna perhaps they should consider appointing a Vietnamese or Cambodian candidate to replace Reyna in Ward 4? And that candidate should preferably be a woman as currently we only have one woman on the City Council – Ceci Iglesias. Maybe Todd Spitzer will look into where Vince really lives: Orange Park Acres. Sounds like Phil entertained a settlement with the hopes of clearing his name. It didn’t work because he was smeared precisely because he beat his girlfriend. All the lies I told? Really because they where proven! You’re a coward and if you and you clowns don’t leave me out and stop telling false stories about me I will handle you in a legal matter! Should I say it Spanish so you understand? I don’t know Roman! The abuse was proven! Whatever hole you think you are making for me is actually for you! Thanks for your response. Why would Reyna offer Bacerra a statement from you recanting your allegations? That seems odd if you don’t know him? You are not named in our post BTW. This is so annoying. I know first hand what being in a physically abusive relationship is like. What you say is not that deep, I mean for you to go out of your way to make it public and come out now after all these years and now all of a sudden be so distraught. Come on now! Race, gender or any other immutable characteristics are not reasons someone should be on the council. Their ideas and leadership qualities are what matter.